Rainbow - The Rainbow is a color combination of Blue and Pink hair with a layer of Chartreuse hair under it causing the "rainbow" effect. 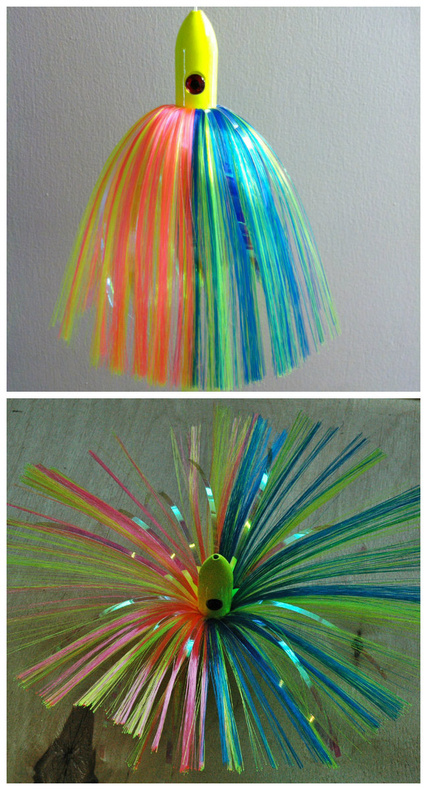 The Rainbow color combination can be used on any size head. 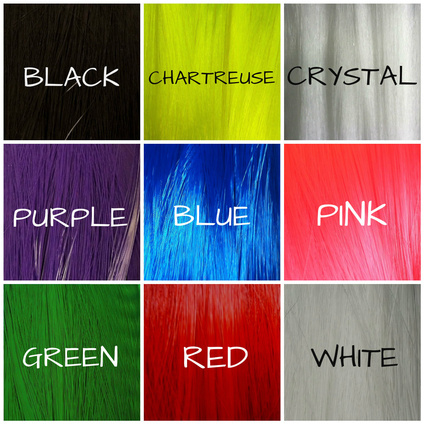 The default head color used is Chartreuse, but we can customize to your liking. DOLPHIN - Via poll on Facebook, both of these colors came close to an even vote so we have decided to use both colors as our "Dolphin" color combination. When ordering, please specify if you would like blue mylar (1st photo) or pearl mylar with blue hair (2nd photo). 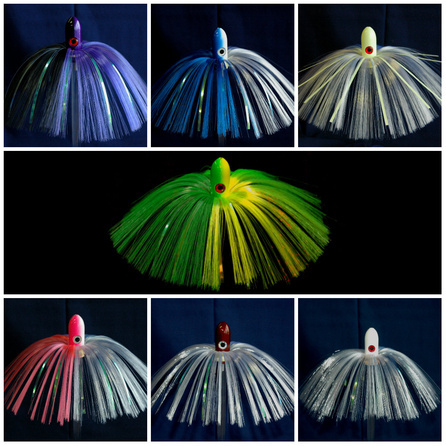 As with the Rainbow color, the Dophin can also be ordered in any size head. The default head color is Green/Chartreuse, but we can customize to your liking.